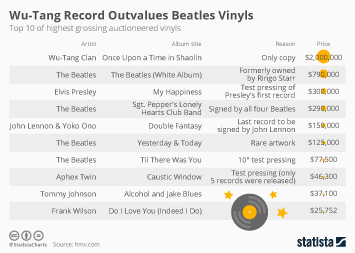 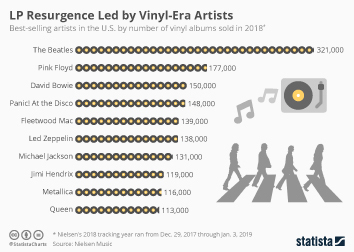 Continuing one of the more surprising comebacks of the digital age, vinyl album sales in the United States have grown for the 13th consecutive year. 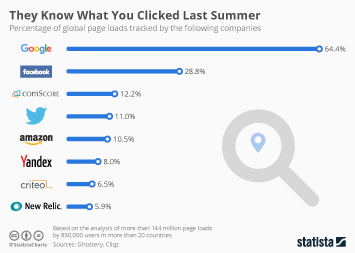 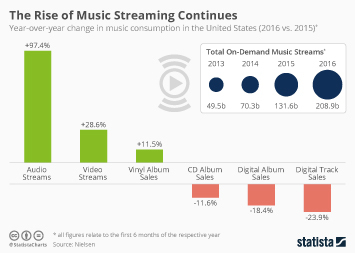 In 2018, 16.8 million LPs were sold in the United States, up 14.6 percent compared to 2017 when accounting for the fact that Nielsen’s 2018 tracking period ran 53 weeks from Dec. 29, 2017 through Jan. 3, 2019. 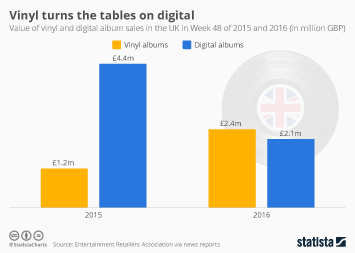 So how big is vinyl's comeback really? 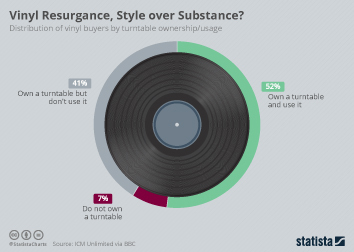 Should we all dust off our old record players to prepare for the future of music? 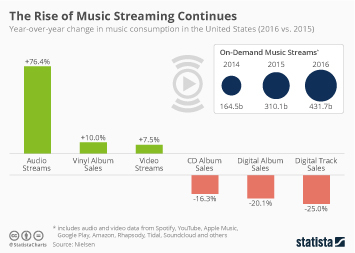 According to Nielsen’s 2018 music report, LPs accounted for 12 percent of album sales in the United States, which is quite substantial. 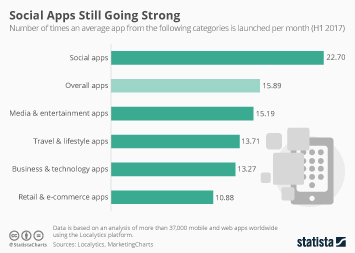 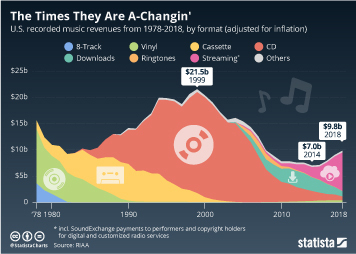 Factoring in streaming and downloads of single tracks, however, that number drops to 2.7 percent of album equivalent music consumption, which puts things in perspective. 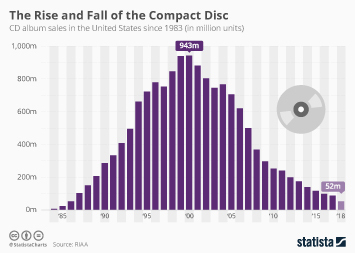 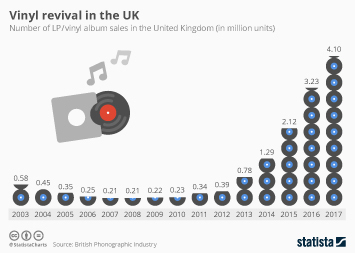 However small the impact of rising LP sales on the music industry’s bottom line may be, it’s still interesting to witness a hundred year-old technology come back from near extinction. 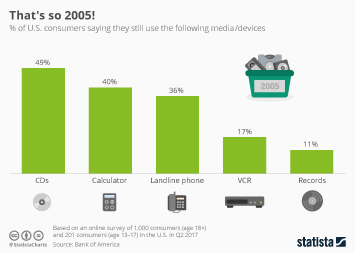 Here's to hoping we don't need to dust off our old VHS tapes for the future of video consumption. 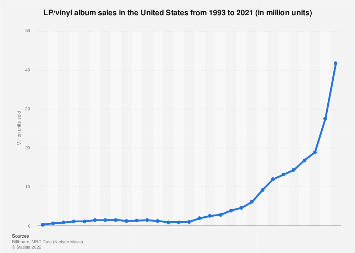 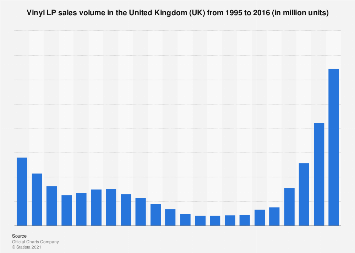 This chart shows the rise in LP sales in the United States.